Just about to post back my £134 Amazon Treasure Truck one picked up on Saturday. 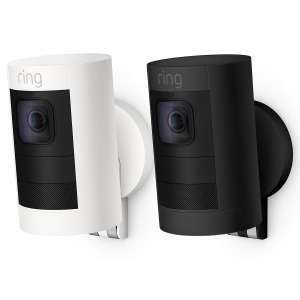 I have Ring Pro Doorbell and Arlo - all outdoor at another address, so just wanted a portable solution for my flat (monitoring with Siren). But the Siren is quoted as 89db, it is more like a loud mobile ring tone plus i wanted to auto ativate the alarm on certain motions zones, can't do that either. Ahh I was looking for these recently actually....heat added!! Just what i needed. Heat! Surely I can't be the only one troubled over this title.......? That's a weird looking endoscope. I couldn't see this particular model in the Reading store today (21/3/19). I couldn't see this particular model in the Reading store today …I couldn't see this particular model in the Reading store today (21/3/19).Online price is £149.89. Purchased this as soon as I seen the deal, preferred the wired option to reduce the network lag from remote access. It's quite big. The night time vision quality is really poor though. If there's decent external lighting, you might be Ok, otherwise, if one of the key factors to purchasing this is a deterrent overnight, then you might be better looking at an alternative. No issues during daylight. Other than this, it's a good piece of kit, although still a bit pricey for £129!